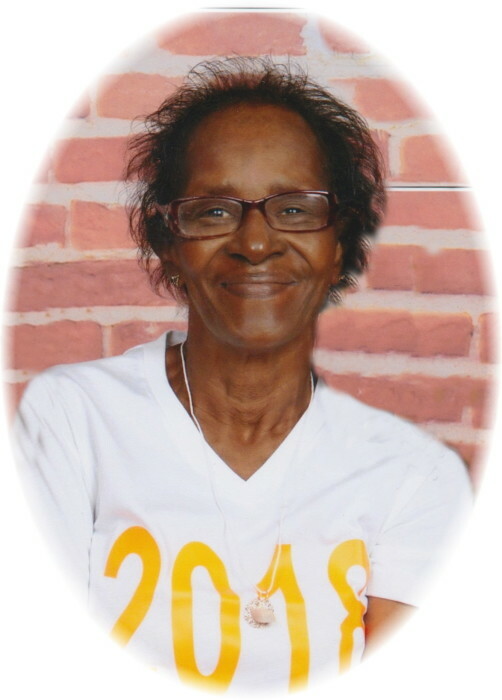 Myrtle Joyce Cannady, AKA “Lois” was born May 25, 1957 to the late William Hand and Hattie Mae Cannady. She departed this life January 23, 2019. Myrtle was educated at Bunn High School. She later went to Kentucky Job Corps and received her GED and became a licensed Welder and Mechanic. “Lois” was preceded in death by her father, William H. Cannady and mother, Hattie Mae Branch Cannady, one brother, Vernon Cannady, two sisters, Sadie Cannady and Gloria McKnight. She leaves to cherish her memories: two sons, Brad E. Cannady of the home and Timothy A. Cannady (Latasha) of Franklinton, NC; one adopted daughter, Ann Foster and one adopted son, Barry Foster both of Youngsville, North Carolina; a very special friend, William H. Foster of Youngsville, North Carolina; seven sisters, Carrie Gupton, Annie Bumpers, Laura Foster and Ailen Cannady all of Franklinton, North Carolina, Mary Cannady of Hollister, North Carolina, Shirley Cannady of Perth Amboy, New Jersey and Stacy Cannady of Durham, North Carolina; five brothers, William A. Cannady, Steve Cannady, and Charles Cannady (Cynthia) all of Franklinton, North Carolina, Arthur Lee Cannady of Youngsville, North Carolina and Sherman Cannady of Durham, North Carolina; three grandchildren, Trinity Williams of Georgia, Tanyia Cannady and Tayvion Cannady both of Franklinton, North Carolina; a special niece, Hattie Cannady; a host of nieces, nephews, many other relatives and friends.